The good,the bad and the ugly food for your rats! Need Baytril, can't run out to your vet? Try here. Rat Care Articles by Sarah Skilling of Aristorats Rattery Examples: What would you do if your rat got lost? Keeping your rats cool in the summer. Body language. Just browse for many interesting info. Thanks Sarah! Got mites? This is an effective solution. This spray is 2% less than the bird mite spray. Thank you to Cyzahhe from the Ratlist for that very neat find! If you have a rat who doesn’t like to be held, remember that baby rats and females tend to be very active and often don’t want to hold still to be held. Instead they want to run around and play and explore. See if your rat wants to play a game with you instead of being held. Then, wait until she is feeling sleepy to hold her. When rats are feeling sleepy, they are more willing to be held. If a rat still doesn’t like being held, acts scared of people, or doesn’t want to come out of her cage, it’s probably because she hasn’t been properly socialized. Some rats just naturally have a more fearful personality too. You can help her learn to trust you by using food. It works best to use soft foods, such as baby foods and yogurt, because you can offer them on a spoon and the rat can’t grab the food and run away. Try different foods to see what she likes. You may need to let her try a food several times in the cage before she decides she likes it. Use the food on a spoon to reward the behavior you want. For instance, use the food to lead her out of the cage and onto your hand, arm, or lap. Then reward her with the food. You have to do it little by little, just small steps at a time. Just give her a little taste each time and gradually make her come out farther and farther each time. As she learns that she gets good treats for being with you, she will be more willing to come out, be with you, and be held. How much time do you spend with your rat? A single rat needs about 4 hours of human attention a day. If you can’t provide that I highly recommend you get another rat as a companion for her. Single rats often feel very insecure. With another rat friend, your rat will be more likely to trust you. This information was from the Rat Fan club site. I did have a link to it directly http://www.ratfanclub.org/trust.html for others to read but the story below it was talking about withholding food from their pet for a few days to MAKE the rat like them. The rat was starved and of course take the food anyone gave it regardless because it was starved. That I don't like and I thank a rattie friend for pointing this out. I never read the story I liked the top half. But now I understand the point of proofreading thoroughly! 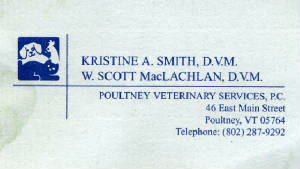 Scott is the vet I use for neutering and care of my rats. I haven't had to make too many trips thank goodness to him knock on wood. He is a wonderful vet and I would recommend him to anyone in my local area. He neutered one of my boys and Willow decided he didn't like the idea of having stiches so he chewed them off...he glued his skin with the natural glue stuff that they use...I have to travel 30 minutes to get to him. Might not seem long to some but most of the time I have to beat his closing time right after work and of course when traffic is the busiest so 30 minutes is like 45! He took my boy, Willow home with him to observe him overnight for me as he was bleeding and needed to stop chewing his missing "parts". What vet would do that? He is very down to earth and they help me finacially when I need to wait to pay a week when things come up. I really appreciate him and all his staff and hope that if you are in my area you will check him out. A must have on the top vet lists!!!! I want to nominate him for best vet of the year! If you are in my area help me to do that for him. It is the least I could do for his wonderful, intelligent and helpful services he gives to me and all my rats. Thanks Scott and staff!